A study published by the American Psychological Association looked at the structure of the songs that get stuck in our heads — the so-called “earworms” — to find out exactly what makes us think about them again, and again, aaaand again. Image via Pexels / Public Domain. Did it ever happen to you to sing a song to yourself hours after you’ve heard it? Of course it did. And you’re not alone. But did you ever wonder why certain songs tend to stick on in our minds, and others don’t? The oldest song in history, for instance, is pretty catchy. There are some very specific reasons why this happens, researchers from the American Psychological Association have found. The earworms are usually faster, with a rather generic but easily remembered melody. But there are also particular intervals that set earworms apart from average pop song, such as distinctive leaps or melodic repetitions, interspersed throughout the melodic line, the study found. The team asked 3,000 people from the UK to name the song that most frequently sticks in their head. To keep it simple, the researchers limited their questioning to popular genres such as pop, rap, rock, and so on. They compared the answers to a database of songs looking for tracks that weren’t named as earworms but matched these in terms of popularity and how recently they appeared in UK’s music charts. The feature of earworms were then analyzed and compared with those of benign songs. This is the list of the most sticky songs out there — be warned, however, that you’ll be singing each and every one to yourself while you read the list. “Bad Romance” by Lady Gaga. “Can’t Get You Out Of My Head” by Kylie Minogue. “Somebody That I Used To Know” by Gotye. “Moves Like Jagger” by Maroon 5. “California Gurls” by Katy Perry. “Poker Face” by Lady Gaga. “These musically sticky songs seem to have quite a fast tempo along with a common melodic shape and unusual intervals or repetitions like we can hear in the opening riff of ‘Smoke On The Water’ by Deep Purple or in the chorus of ‘Bad Romance,'” said lead author Kelly Jakubowski, PhD, of Durham University. She conducted the study while at Goldsmiths, University of London. The team found that catchy songs tend to have more common global melodic contours — meaning they have overall melodic shapes commonly found in Western pop music. “Twinkle, Twinkle Little Star” for example, with the first phrase rising in pitch while the second one falls, shows the most common such contour pattern. Nursery tunes and children’s songs usually follow the same pattern, authors note, making them easy to remember for children. That same element, in Maroon 5’s “Moves Like Jagger” opening riff makes the song stick in your head. Another crucial element for earworms is an unusual interval structure of the song. Unexpected leaps or more repeated notes than you’d expect to hear in an average pop song provide this structure, the study reads. The interlude of “My Sharona” by the Knack or “In The Mood” by Glen Miller can be used as examples. Catchy songs are more likely to get aired on radio, to be featured at the top of charts, neither of which is surprising. But there has previously been little evidence as to why some songs are “catchy” regardless of how popular they are or how many people have heard them. 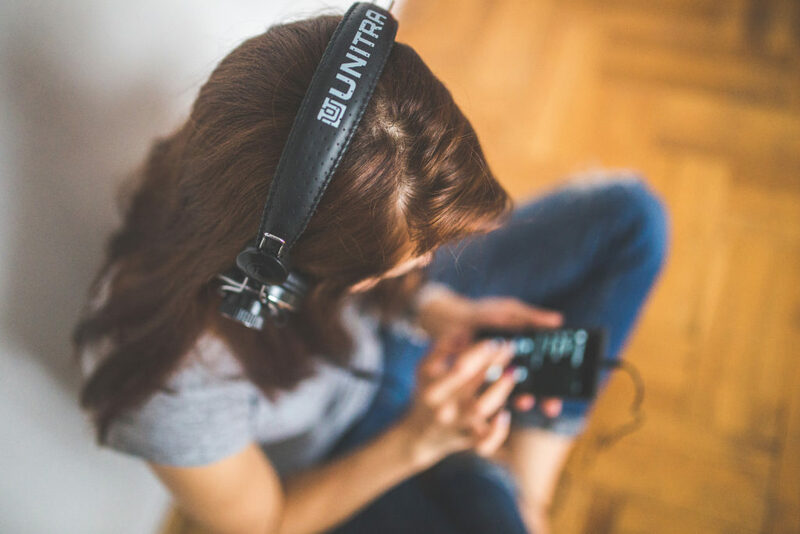 “Our findings show that you can, to some extent, predict which songs are going to get stuck in people’s heads based on the song’s melodic content,” Jakubowski said. In addition to a common melodic shape, the other crucial ingredient in the earworm formula is an unusual interval structure in the song, such as some unexpected leaps or more repeated notes than you would expect to hear in the average pop song, according to the study. But let’s say you’re on the other end of the line — you’re the listener, desperately trying to get the song out of your head. What do you do? Jakubowski suggests engaging with the song, as many people report that it becomes easier to get rid of a song after listening it in full. You can also try distracting yourself with another song, either by listening or thinking about it, but it sounds a lot like replacing one thorn with another. If neither approach works, just give it time, try not to think about the song, and it will naturally fade away on its own. The full paper, “Dissecting an Earworm: Melodic Features and Song Popularity Predict Involuntary Musical Imagery” has been published online in the journal Psychology of Aesthetics, Creativity, and the Arts.